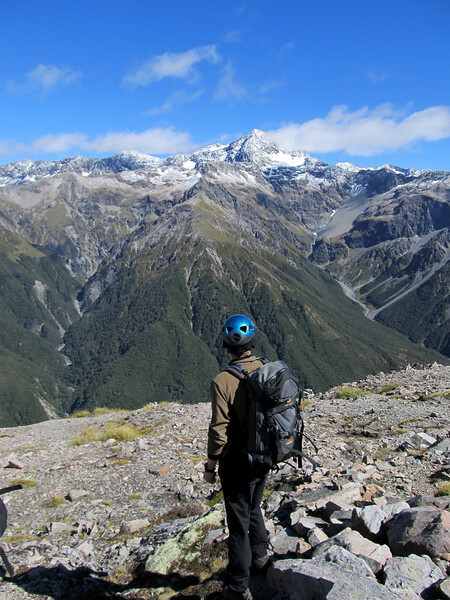 NZAC day trip to My Cassidy and Blimit, up via the Cons Track and down via the Temple Skifield. Team: Andy Morris, Chris Walker, John Roper-Lindsay, Yvonne Pfluger, Cornelia Holten, Kai Holten, Charles Etherington and Nina Dickerhof. View across to Mt Rolleston.